Here they are, and here you are! We will do some of these in class, and some are all yours for open gyms. Who’s going to hit all 12 before the New Year? 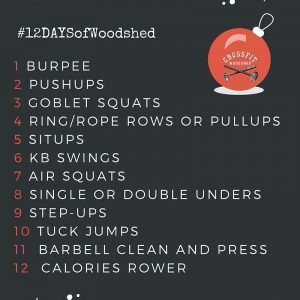 And finally…the 12 Days of Woodshed!